NFL Fantasy and FiveThirtyEight Driving ESPN Podcasts to Record Numbers; “Dunkumentaries” Honored by RAIN - ESPN Press Room U.S.
With the nation’s focus on the start of the NFL season and the stretch run of the Presidential campaign, ESPN Audio’s originally produced podcast business is enjoying unprecedented success, with “Fantasy Focus Football” and two FiveThirtyEight offerings leading the list in August when overall downloads set an ESPN record for the sixth consecutive month. “FiveThirtyEight Elections” – where FiveThirtyEight’s editor-in-chief Nate Silver hosts and discusses the presidential election with the site’s political team – was atop the list of more than 40 offerings with 7.8 million downloads in August. The daily “Fantasy Focus Football,” hosted by Matthew Berry with Field Yates and injury expert Stephania Bell, was second with 6.1 million, up 56% from the year before (3.9 million). FiveThirtyEight’s “What’s the Point” – highlighting data’s growing influence in people’s lives where host Jody Avirgan talks to guests who are using data in surprising ways – came in third with 1.6 million. In fact, as of September 20, “Fantasy Focus” had already topped its August total – and, more importantly, its September 2015 total of 6.7 – with 6.8 million downloads this month. 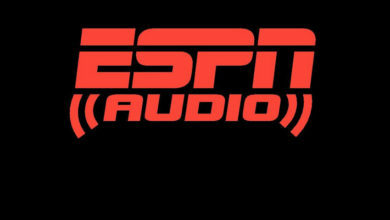 Overall, including podcasts of ESPN Radio and television programming, ESPN Audio broke its record for podcast impressions for the sixth consecutive month with 54.6 million, up 94% from 28.1 million in August 2015. It also marked a 12% rise from the previous record of 48.8 million in July. One of the highlights in August was “Pin Kings,” part of an unprecedented multiplatform enterprise journalism initiative involving television, ESPN the Magazine and ESPN.com. The series was a first for ESPN Audio – an episodic presentation, 16 chapters, as it were, complete with a mystery building to a dramatic ending. ESPN Audio’s first foray into long-form podcasts, April’s five-part “Dunkumentaires,” was named Podcast of the Year by RAIN, the internet/radio business outlet, at its annual show in Nashville on September 20. A collaboration with ESPN Films, the series was called “an audio-rich celebration of the slam dunk in all its glory. Over the course of five podcast episodes, the program explores the stories and personalities connected to the most powerful shot in basketball.” Of note, the award was not specific to sports topics; the competition came from the complete range of podcast subject matter. Recently, ESPN Films and ESPN Audio announced they are teaming up to produce 30 for 30 Podcasts – bringing high-quality sports storytelling to fans in audio form. The series will tell original stories in the likeness of the acclaimed 30 for 30 documentaries, made specifically with a narrative podcasting approach. The first season will launch in early 2017.